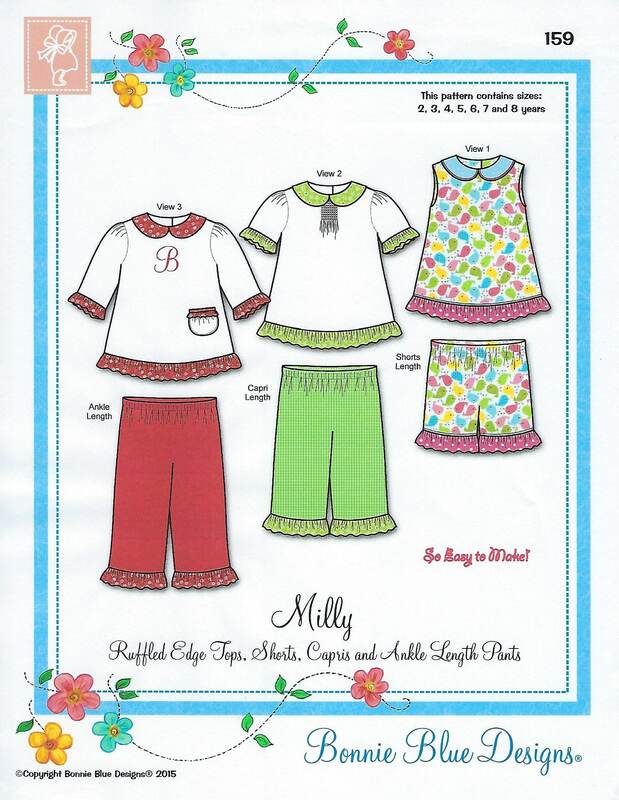 Package includes patterns and instructions to make Ruffled Edge Tops, Shorts, Capris and Ankle Length Pants. View 1 - Top is fully lined with Peter Pan collar and hemline ruffle. View 2 - Top is unlined with smocked center front, Peter Pan collar, hemline ruffle and short fitted sleeves with ruffles. View 3 - Top is unlined with Peter Pan collar, hemline ruffle and three-quarter length fitted sleeves with ruffles. All tops are back button closed. 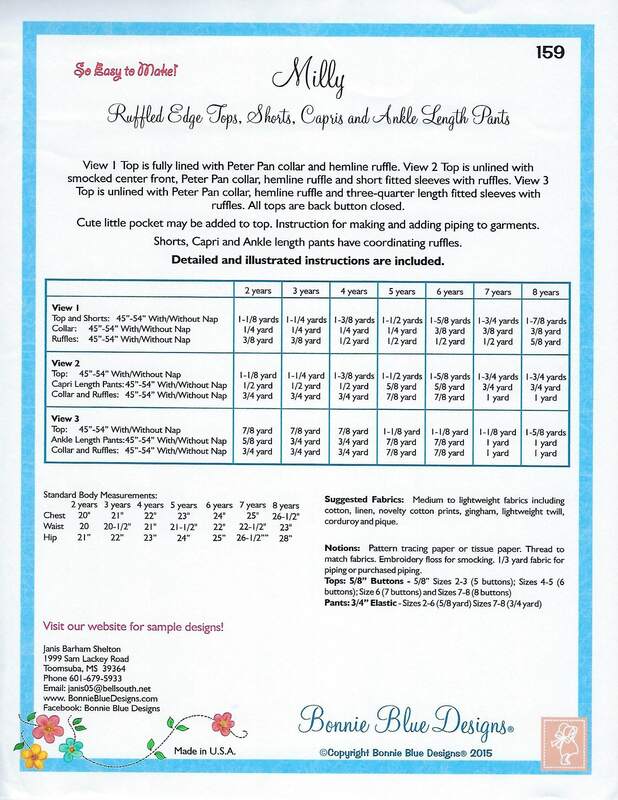 2 yr, 3 yr, 4 yr, 5 yr, 6 yr, 7 yr, 8 yr - All sizes included in one envelope.